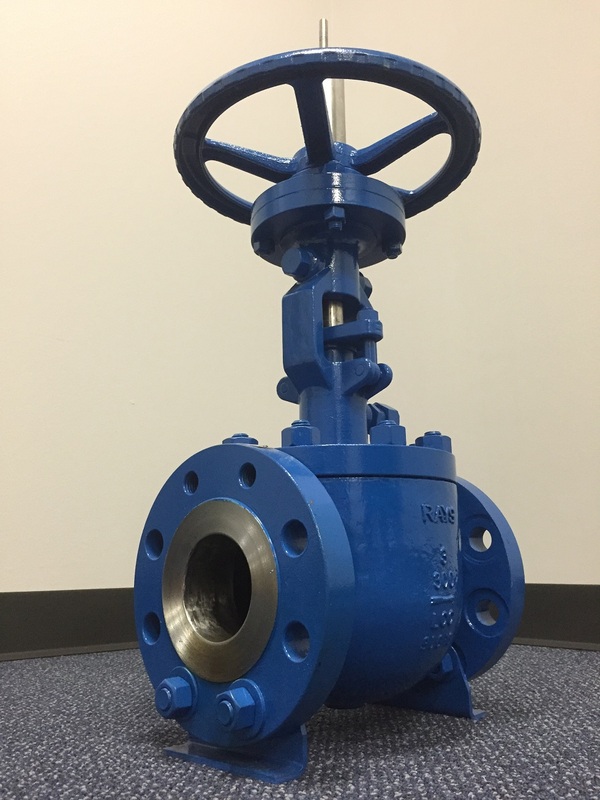 Rising Stem Ball Valve (RSBV) is a new type of ball valve, which is mainly used to cut off, distribute, and change the flow direction of medium in the pipeline. RAYS Rising Stem Ball Valve with all-metal structure and fire proof design, can be applied to the temperature range from -196℃ to 600℃. Compared with the conventional ball valve, the RSBV’s ball & seat movement has no friction, small opening & closing torque, and better sealing performance. It can be adapted to general working medium such as: water, solvent, acids, and natural gas. However, it is also suitable for working conditions such as: oxygen, hydrogen peroxide, methane, ethylene, etc. Rising Stem Ball Valve utilizes the cooperation of the inclined surface of the bottom surface of the valve stem and the spiral groove to realize the tilting and rotation of the ball. When the valve is opened, the ball is tilted away from the valve seat. Then, the fluid in the pipeline passes through the valve along the spherical surface evenly, which reduces the local erosion of the valve seat by the high-speed fluid. Finally, the ball rotates to full open position. When the valve is closed, the ball relies on the mechanical wedge of the stem bevel to be used on the seat to produce the required sealing pressure to ensure reliable sealing performance. The sealing specific pressure is adjusted according to the changes of fluid erosion wear, corrosion degree & working pressure, which prolongs the service life of the valve. 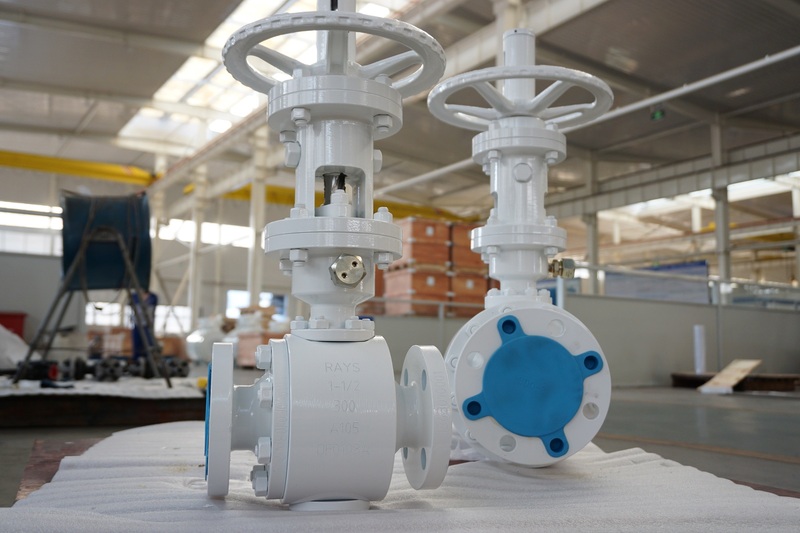 The ball of the rising stem ball valve rotates away from the valve seat, which eliminates the friction with the valve seat and solves the wear problem of the traditional ball valve, gate valve, and plug valve seats. The static single seat of the RSBV can guarantee the bidirectional zero leakage and avoid the problem of pressure rising in the cavity of the double seats. The sealing surface of the ball is surfaced with a layer of cemented carbide and polished to meet the sealing performance in very harsh medium. Valve Stem guide groove slides along the rigid guide pin then controls the valve stem’s lift and rotate smoothly. The cam bevel on the lower end of the stem provides a mechanical wedge force to keep the ball and seat tight. 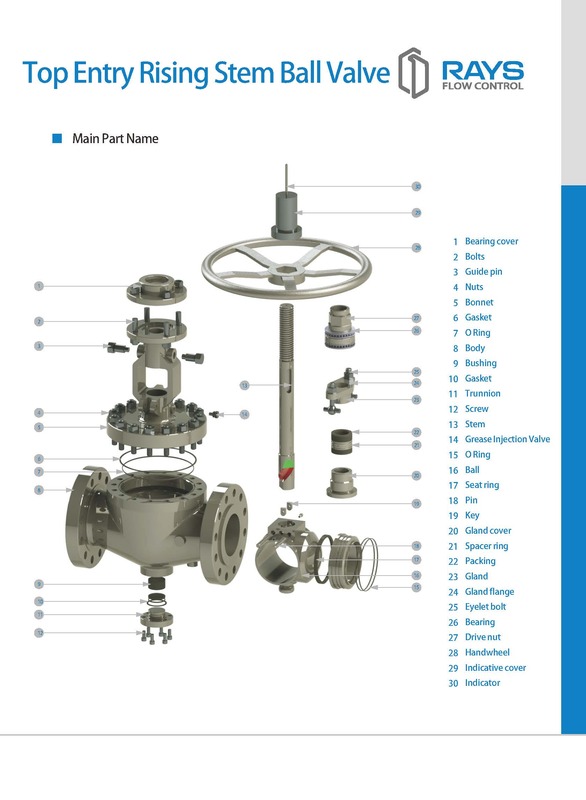 The valve body is designed with a special device to detect the internal leakage of the valve. RSBV sealing surface has no friction, so the opening and closing torque is small. When the ball is deviated from the seat, the medium can flow 360 degrees along the sealing surface and rinse the impurities in the medium. Can be maintained during operation, and the sealing grease is injected through the greaser to completely control the volatilization and prevent leakage. 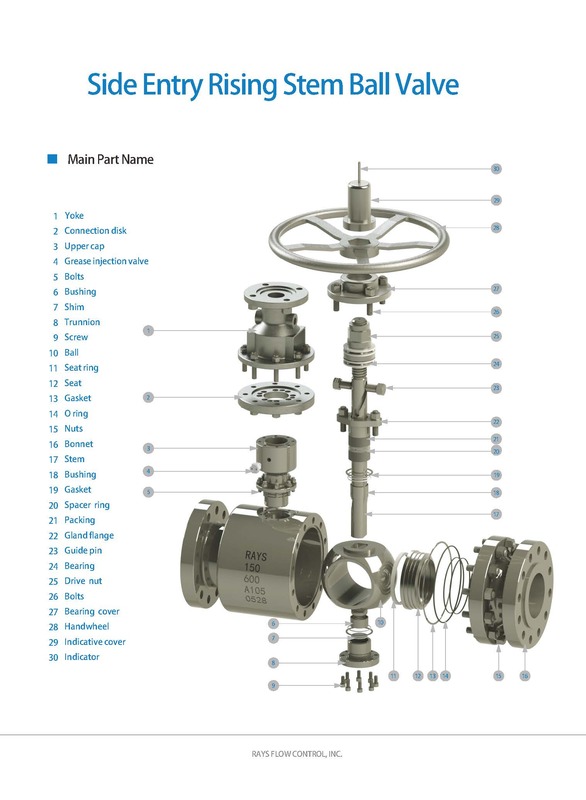 RSBV could replace many troublesome valves such as ball valves, gate valves, globe valves, and plug valves. The unique characteristics of the RSBV are that it can effectively reduce the device failure rate, greatly reduce the user’s use, and maintenance costs. The RSBV uses a simple and effective movement to coordinately control the separation, rotation & compression of the sealing contact surface, so that the valve switching process has no friction, zero leakage, and low torque operation. For conditions with low leakage and frequent opening/closing requirements, the RSBV is undoubtedly the most ideal application.